Is It Worth It to Invest in a Self-Cleaning Litter Box? 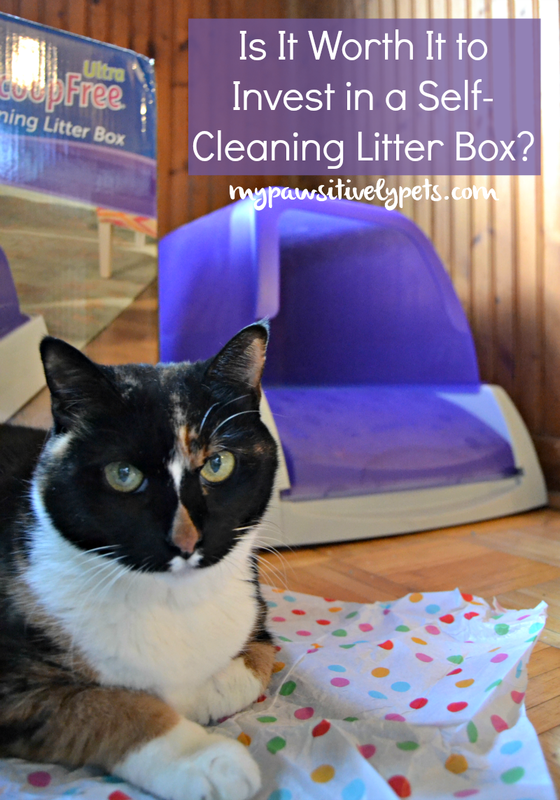 If you have cats, have you ever considered investing in a self-cleaning litter box? I know I have. I can get behind on my litter box scooping chores every now and then if I'm having a busy week or weekend. The thought of having a self-cleaning litter box sounds quite appealing to me. But, are they worth it? 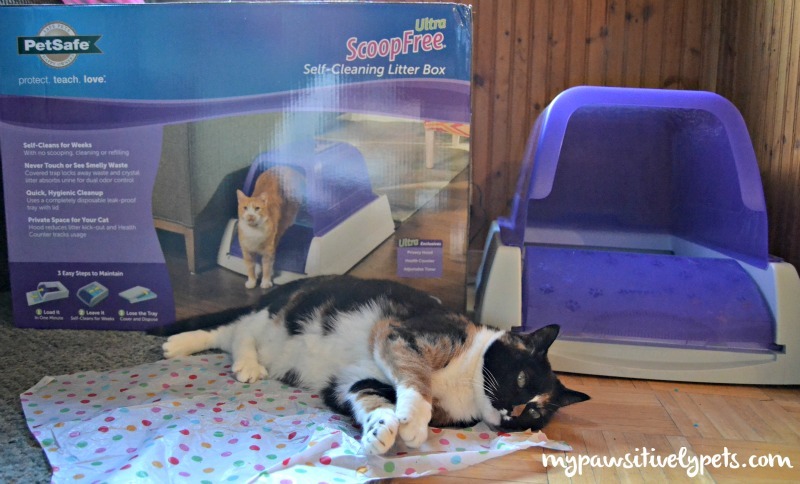 Last month, PetSafe® sent us one of their ScoopFree® Ultra Self-Cleaning Litter Boxes to try out. I couldn't wait to use it, so I opened it immediately when it arrived and set it up. The litter box had minimal assembly and was easy to put together. It was also easy to learn how to use. I mostly just needed to plug it in, and let it do its thing. The ScoopFree Ultra Self-Cleaning Litter Box does the rest of the work. 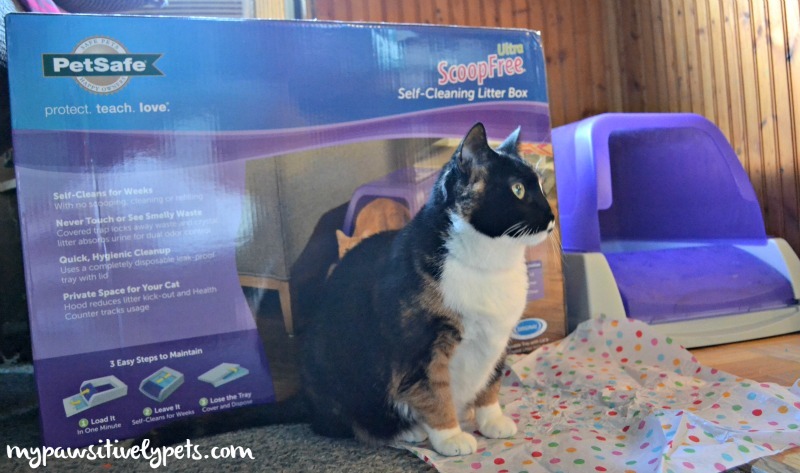 How Does ScoopFree® Ultra Self-Cleaning Litter Box Work? The litter box senses when your cat is inside of it and the automatic rake system pushes waste into the covered compartment 5, 10, or 20 minutes after your cat uses the litter box. I have mine set to go off 20 minutes after Callie enters the box. The PetSafe ScoopFree Ultra Self-Cleaning Litter Box comes with a removable hood. I like using the hood, and Callie doesn't seem to mind it. But, if your cat doesn't like hoods it's easy to take off. One of the coolest features of this self-cleaning litter box is that it displays the number of times your cat has entered the box. This is a nice way to regulate your cat's restroom habits and can help you identify urinary problems. I reset the counter after changing it for the first time. The PetSafe ScoopFree Ultra Self-Cleaning Litter Box uses a special litter. 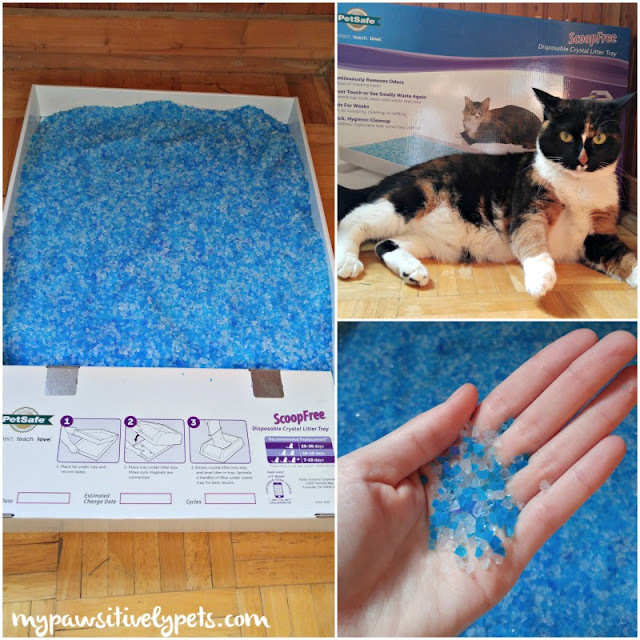 The Premium Blue Crystal Litter comes in a disposable litter tray that you simply place underneath the litter box. And no - nothing leaks through the bottom of it. I checked. According to the PetSafe website, it's 5 times more effective at reducing odor than clay or clumping litters. This special litter also uses less litter than clay or clumping litters. After using this for almost a month, I can agree that it does in fact smell less as well as use less litter. My only concern is that I'll need to make sure I order replacement litter on time. It's not something I'll be able to pick up at the store. I compared prices to my usual litter and how often I replace that and there is little to no price difference. With my one cat, it's recommended that I replace the disposable litter tray once every 20-30 days. If you have more than one cat, you'll have to replace it more often. Callie used her first tray for exactly 28 days with no issues. I do think I will change it just a few days earlier next month, however. 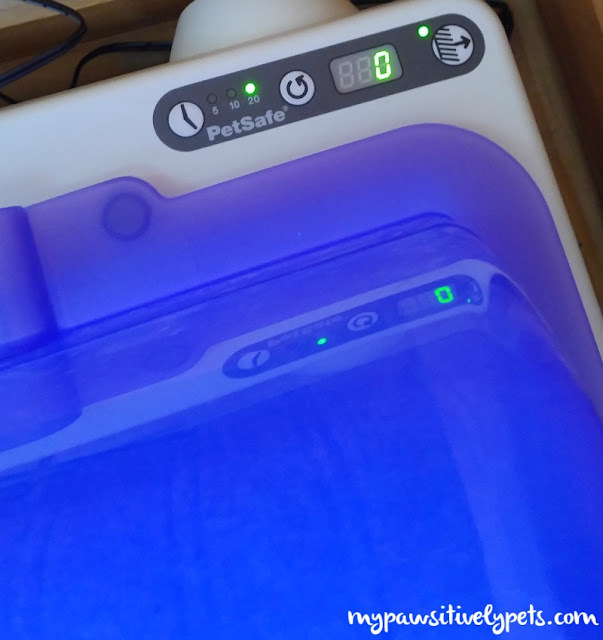 I love the way the PetSafe ScoopFree Ultra Self-Cleaning Litter Box is working for us and it has drastically reduced my "pet chores" around the house. And what did Callie think of using her new litter box? At first, she was apprehensive. I remember the first time she went in and the automated rake system went off 20 minutes later. You would have thought there was some sort of monster in the corner. It was slow going for about the first week, and she seldom used the box. As per the instruction booklet that came with the self-cleaning litter box, I kept Callie's old litter box but did not scoop it. Yucky I know, but I dealt with it for a few days. Since Callie doesn't like using a yucky, dirty box I hoped this would coax her into using the new, cleaner one. After Callie became adjusted to her new litter box, I removed the old one. Now she uses the PetSafe ScoopFree Ultra exclusively. It's a big box, so there is plenty of room for her to move around in there. After using the luxury of a self-cleaning box, I think it would be hard for me to go back to using a regular litter box. I seriously love this thing. Is it worth it to invest in a self-cleaning litter box? In my opinion, yes. Visit the PetSafe website for more information and to purchase a PetSafe ScoopFree Ultra Self-Cleaning Litter Box. 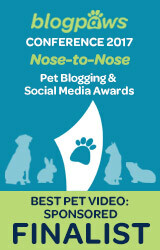 You can stay up to date with PetSafe on Facebook and Twitter. 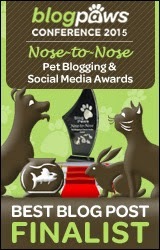 We are partnering with PetSafe to bring you a fabulous giveaway! 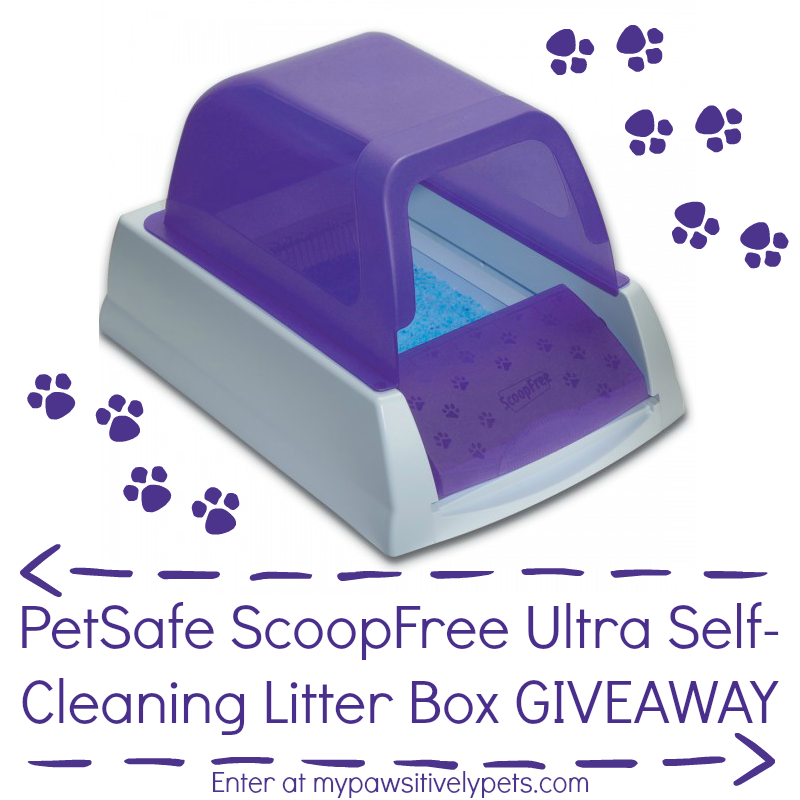 One lucky person will win a PetSafe ScoopFree Ultra Self-Cleaning Litter Box in Purple, just like the one featured in this blog post. This giveaway is open to continental US residents only (void where prohibited by law), ages 18+. To enter, just use the Rafflecopter form below. Giveaway ends on January 24th, 2015 at 11:59 PM CT. Good luck! We received a free PetSafe ScoopFree Ultra Self-Cleaning Litter Box in exchange for our honest review of the product, but Pawsitively Pets only shares information we feel is relevant to our readers. PetSafe is not responsible for the content of this article. I would love this for my daughter. She has a very small college apartment, a cat, and not much time. I think it would be perfect for her. I like the fact it shows how many times your cat has used the box. My cat has battled urinary tract issues, as well as constipation issues, in the past, so having an idea of use would be very beneficial. With two cats, we would definitely like to give this a try, thanks! I have 2 cats and 3 kids needless to the litter box does not get cleaned ten as it should. This would be wonderful to have. I would like to try it because it seems like one minute it's fine and then BAM it's desperately in need of a cleaning. It would be nice to not get caught offguard and have to do a "deep cleaning". Thanks guys! I should also mention that while Callie thought it was scary at first, it is not very loud at all when it does it's automated raking. We would love to try the litter box. Nestle can be a messy kitty throwing litter all over and maybe this would help with the mess. I would love this because it would mean less scooping for me and a clean box for my cat. I have two cats, and two litterboxes. One less box to scoop daily would be nice! This sounds like a really interesting box. The only issue we might have with it is the litter it uses. I know many cats are picky about their litter. Thankfully, it doesn't seem so with Callie. I do like this litter though. It's unscented and Callie seems to have no problems with using it. That box sounds pretty great! We wonder of Gracie and Zoe would be up for using that kind of litter, though. We have three litter boxes - one with sandy-type crystals, one "litter sifter" (a traditional litter box with a sifting attachment), and yes, one electronic litter box. I actually don't use the electronic box, but Binga and Boodie do. It uses regular litter, though. There was an electronic litter box that used the larger crystals a few years ago, but my human though the cats didn't really like the rocky feel of the crystals. Binga and I kind of like the sandier crystals. Boodie doesn't use that box. It's complicated around here! Haha - it does sound complicated! But you kitties deserve the best! I have four dogs and three cats. They all get along great, but one of my dogs feels the litter box is her personal buffet. With three cats, I have to scoop constantly, and in order to keep my dog out of the box, I have to keep our boxes out of the way. It helps keep the dogs out, but also makes it harder for my cats to get to them. If I had a way to clean the box as soon as one of the cats used it, I wouldn't have to worry about my dog getting into it and could keep it in a better place for the cats. I know how that is... years ago when we had a different cat, Shiner also thought the litter box was a snack buffet too. I don't know why, but I never catch her doing that anymore. I would like to try it out since I have three cats. If it saves on work it would be worth having. i dont have any cats, but i would love this to donate to the pet food bank at safe haven shelter and clinic for cats. i think it would be great b/c it would save on work, and i know that i have cats it would be nice to have b/c it would save from cleaning the litter box many times a day. it also looks like it would keep the crystals more in the litter box. Mom has been scooping since she was 7 and got her first cat. It would be nice to have it done for her for a change, and I bet the cats would like it too. This box looks amazing but we can’t enter because our condo is short on electrical outlets. There are non near the litter boxes. Those crystals look like they’d hurt a cat’s feet, especially one that’s declawed. I had a similar issue with electrical outlets, but found a place for it. Since we only have one cat now it would be awesome to have an electric litter box. It would awesome since my husband and I both have some health issues that make box cleaning a problem every so often. Thanks for the giveaway. My cat is very strict about his litter box being clean. I have 2 cats and keep one huge pan on the porch (with a cat door) With this, I could bring it inside again. Would love to try one. I would love one of these!!! we have 2 cats and it would make things sooo much easier! This would be so great to have! I have always wanted one of these and I would freak out if I won this one we sure need a new one. I would love to try it because I am so tired of the old litter box, the smell, the scooping and everything. Would love to try something new. I have 2 cats and get to be a pain to keep up with the litter. I would be really excited the get something like this! I had something similar years ago and I had multiple cats. One cat went in and went pee, and the box waited the time and then started doing it's thing, well low and behold another cat was about to step in.. freaked the cat out so much he never used it again, and in time neither did the others.. This is an awesome idea for a single cat family, but not so much for multiples.. I can see how problems might arise with many cats. 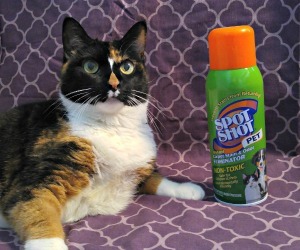 I believe this one is not recommended for use with over 3 cats. Also, this one does reset itself if it detects that a cat has re-entered the box to prevent that from happening which is kind of nice. I've got a little one now living with us and stray litter and dirty litter boxes present a problem! I have three cats and am pregnant so anything that helps would be much appreciated. I would prefer to eventually not have to wear gloves and a mask to clean the litterboxes. Oh this would be great for pregnant women! I worked as a veterinary technician during my entire second pregnancy and they would not allow me to clean the litter boxes. With back issues it's hard to scoop my kitty's box - this would be great! Cleaning the litter box is my LEAST favorite chore. I really like that the PetSafe Self-Cleaning Litter Box uses 5-10x less litter than clay and clumping litter. Don't have a cat, but would still like to win to donate. Just saw the link to this post on FB - thank you for the review. I think I will be ordering one shortly!